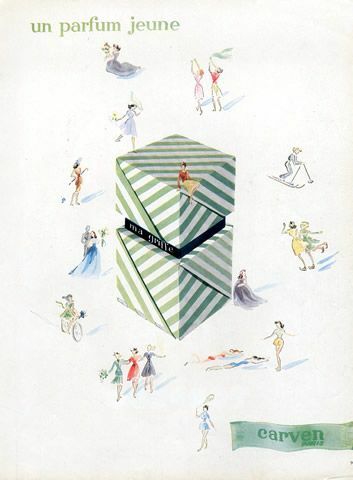 It was fragrance that helped put Carven on the map in 1946, with the Parisian couturier’s launch of Ma Griffe: its exhilarating, bold and playful perfume – aimed, unusually, at young women – acquired a serious fan base. 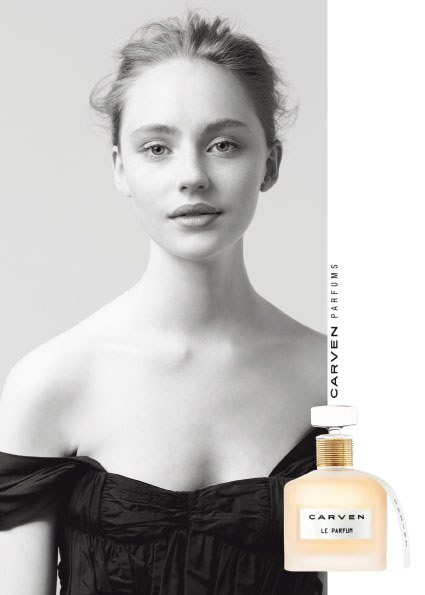 And it is fragrance that has helped put Carven back on that map, in the 21st Century: Carven Le Parfum (created by one of the most famous ‘noses’ in the world, Francis Kurkdjian) has had the perfume blogosphere buzzing, since its 2013 revival. Marie-Louise Carven was born Carmen de Tommaso, in Chatelleraut, north of Poitiers. Just five feet one inches tall, she was told by her mother she would ‘never be elegant’. How wrong can a mother be? As a young woman, Marie-Louise opted to study architecture and interior design at the Ecole des Beaux-Arts. And she ignored her mother’s comments – who knows, maybe her ambition was even fuelled by them? – deciding to use her size to advantage, by designing clothes to flatter and enchant petite women. Over the next five decades, she continued to preside over the House of Carven, launching menswear, swimwear, accessories, leisurewear, and a ‘juniors’ collection, with a so-fresh signature: ‘the breath of youth’, it was described as. ‘She had the intuition to appeal to young girls at a time when couturiers mostly dressed older women,’ an instructor at the Institute Français de la Mode later said, in tribute. 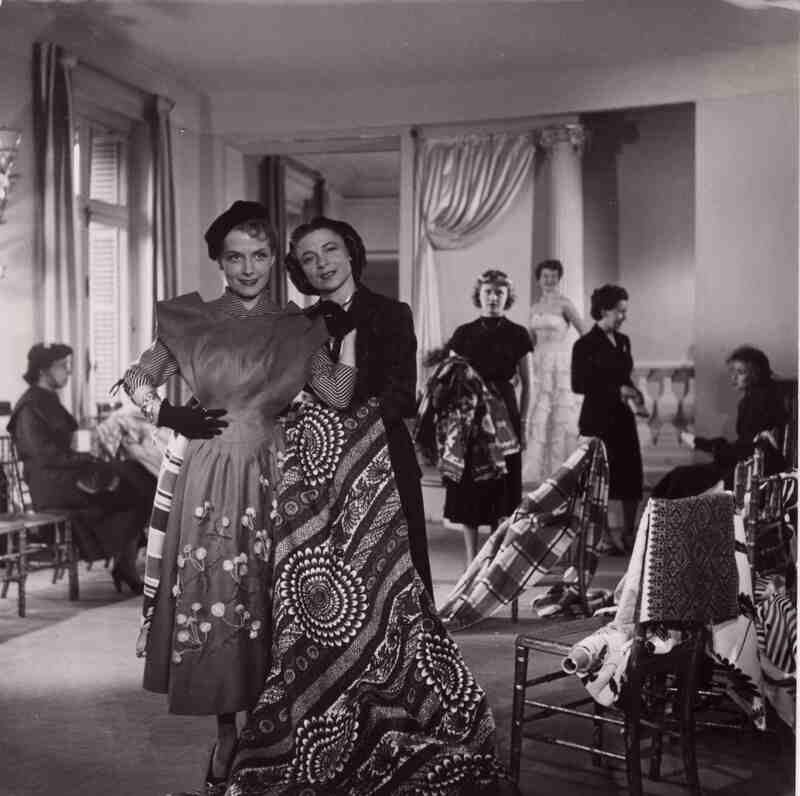 She drew inspiration from world travel (pictured above, Carven draping a showroom model with fabrics inpired by a voyage to Africa in 1949), from artistic motifs, her luxurious salon decorated with a connoisseur’s zeal for collectible antiques. Carven only retired – at the age of 84 – in 1993. ‘Couture brought me happiness,’ she is quoted as saying, at the time. ‘I did everything I could to make women beautiful.’ Which included creating exquisite fragrances, of course: the ‘finishing touch’, for all of us. It all went quiet on the Carven front, for a while, after that. But since 2009, this sleeping beauty of a fashion house has been reawakened – introducing the ready-to-wear label to a new generation of women across the style spectrum, from Beyoncé to Rihanna via Isabelle Huppert and Emma Watson. 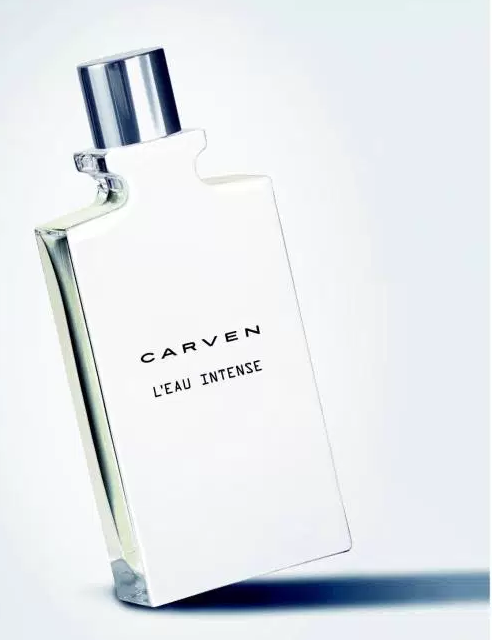 Then in 2013 Carven Le Parfum burst into blossom, putting Carven on the scent scene once more – created by Francis Kurkdjian, the acclaimed ‘nose’ known for Acqua di Parma Iris Nobile, and Jean-Paul Gaultier Le Male. It’s been followed by Carven L’Eau de Toilette and Carven L’Absolu – also ‘signed’ by Francis Kurkdjian. The former is an ‘ode to freshness and femininity against a backdrop of creamy softness’, showcasing sweet pea, peony, freesia, hyacinth, wisteria, musk and sandalwood. The voluptuous Carven L’Absolu was developed by Francis in tandem with his former ‘apprentice’, Jérome Di Marino. And in addition to an intense version of Ma Griffe has been reintroduced, too: a chance to rediscover this ‘olfactory time capsule’, one of the most talked-about fragrances of its time. We certainly couldn’t be happier to see this legendary fragrance name restored to glory.